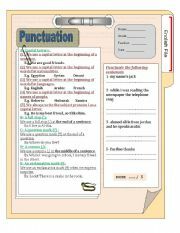 An effctive worksheets on using punctuation marks correctly. This is followed by an excercise for making sure your students have understood the topic. A worksheet that helps students recognise some common names of jobs. 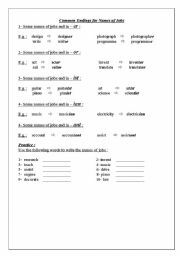 This worksheet may help differntiate beetween the verb form of the present simple and that of the present continuous. A short vocabulary quiz about people.It contains two questions; Fill in the blanks and choose. I hope it will help you. 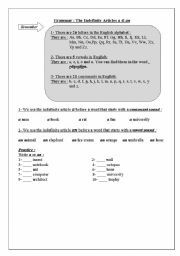 A useful worksheet about the indefinite articles ( a & an )including an exercise to fill in the blanks using a or an. A powerpoint that helps both teachers and students a lot to study famous people especially in the field of cinema.